This Tibetan sculpture depicts Panjarnata Mahakala, a protector deity common in Buddhism, Hinduism and Sikhism. Considered to be in pristine condition, it shows the ferocious deity adorned with accessories set with skulls and garland of snakes atop a supine figure, which, combined with other ornaments, symbolise the qualities of a Buddha. In paintings and scrolls, the deity is often shown with black or blue skin. 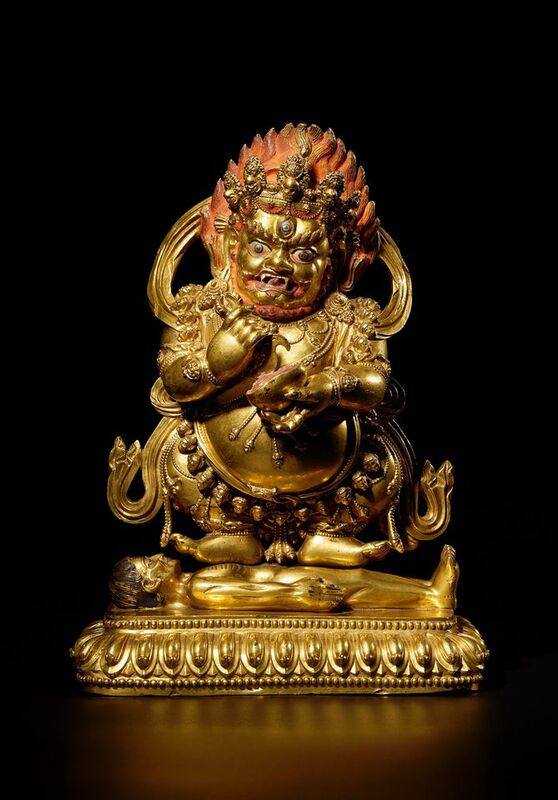 Its price is a tad punchy although, last year, a more intricate but similarly modelled gilt-bronze sculpture of the Panjarnata Mahakala from the Yongle-Xuande period (1403-1435) sold for $1.5m (est $1m-$1.2m) at Christie’s Hong Kong. Leslie Hindman’s fine books and manuscripts department broke records last November when the first round of Steve Fossett’s coveted collection came to auction. The late adventurer—the first to circumnavigate the globe by hot air balloon— had an extensive library of tomes on exploration, mountaineering and aeronautics, among other topics. 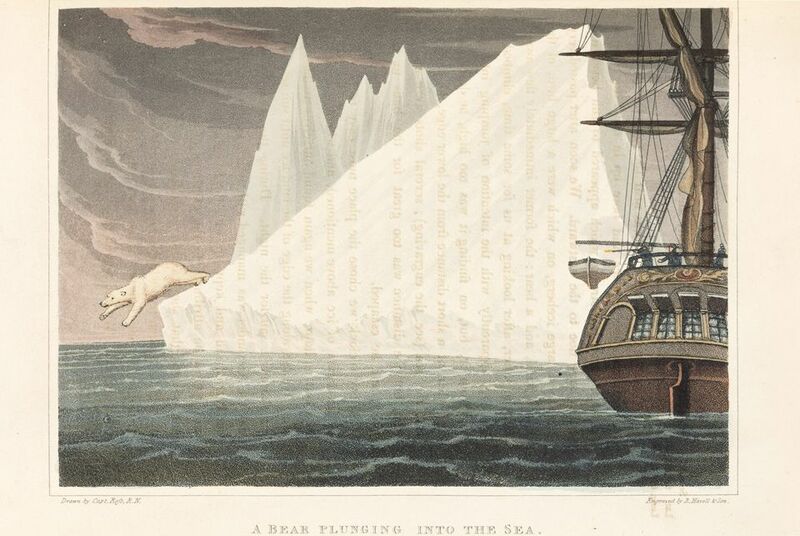 This book by the Royal Navy officer and polar explorer John Ross recounts his voyage around Greenland’s Baffin Bay in 1818—the first of the British Admiralty’s attempts to discover the Northwest Passage. 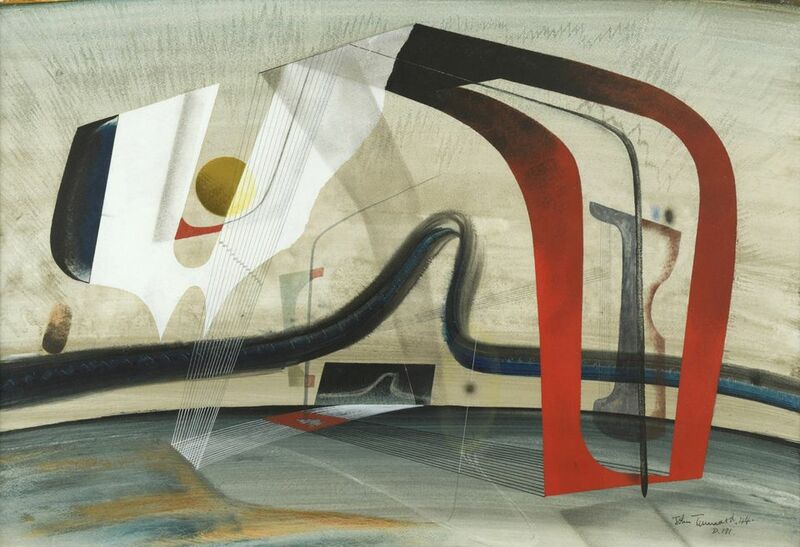 In 1949, the forward-thinking Hertfordshire County Council started buying works of art by contemporary British artists to loan to schools. The Pictures for Schools exhibitions took place through the 1950s and 1960s but now, the council says, the service has become less relevant, with children visiting galleries or viewing works online. The initiative was discontinued in 2017 and now the council is selling off 428 paintings from its 1,828-strong collection, including works by artists like Joan Eardley, Anne Redpath, John Nash and John Tunnard, whose Surrealist watercolour and gouache work is one of the highlights of the sale.